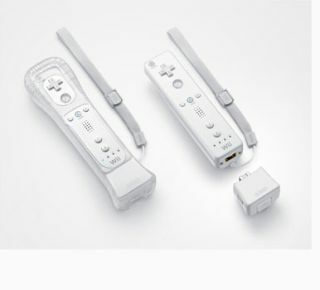 So Nintendo has revealed its Wii Motion Plus, a small, roughly cubic add-on that fits onto the bottom end of the Wiimote and brings about a new level of precision as far as motion-detection is concerned. But how does it work, and what exactly are the implications for both gamers and developers? In terms of how it works, the company whose technology it employs, InvenSense, issued a gloriously impenetrable press release which we won't baffle you with, but the essential gist of which is: "gyroscopes". And not just any old gyroscopes, but silicon-based ones. Which, unlike conventional gyroscopes, are tiny and consume very little power. And we managed to find a man who, in layman's terms, was able to explain the implications: Kevin Hassell, publishing director of small but perfectly formed British developer/publisher Oxygen, which is notable for its support of the Wii. Hassell says: "The gyroscope in Wii Motion Plus allows for accurate positioning of the Wii controller in 3D space – not just the ability to detect when it has moved." This, he reckons, will be a boon to developers: "When the Wii controller, with its motion sensor, was announced, developers thought: "Great". But in reality, the Wiimote hasn't been as responsive as we'd like. We've talked to developers, saying we'd like gamers to be able to do X, Y and Z with the Wiimote, and the developers have said: "Well, you've got to understand how the controller works, and that won't be possible." But Wii Motion Plus, at least on paper, will make things that were previously difficult or impossible easy. Now, we can build motions around what users want to do rather than what the controller will allow." "Lost Winds, in my view, works fine with the original Wiimote. I would like to applaud the fact that Nintendo is improving something which I already thought was very good. But it's not just about more accurate motion-sensing: it's about being able to detect different types of motion that it can't currently detect." Hassell backs that up: "Take, for example, Pro Stroke Golf, which we made for the PlayStation 2, and allowed you to control the twisting of the club and the movement of the player's hips. That would be difficult with the Wiimote as it stands, but easy with the Wii Motion Plus." Both Hassell and Braben have a few caveats; as Braben points out: "The issue with the Wii Motion Plus is how quickly it can be adopted by developers." Hassell adds: "Anything we write in the foreseeable future will have to be playable with and without the Wii Motion Plus, because we can't guarantee every user will have one." Would Oxygen consider bundling games with the Wii Motion Plus? "That's a question for Nintendo. But in abstract terms, it would be good to have that, absolutely." And one announcement that Nintendo conspicuously failed to make was that of a Wiimote Mark Two with the Motion Plus technology built in. Would such an object interest Hassell? "We'd love it if they did that." So there we go: Wii Motion Plus should eventually bring a new generation of startlingly realistic sports sims, sword-fighting games and their ilk to the Wii. Already, we can hear the sound of developers' creative juices being stimulated.